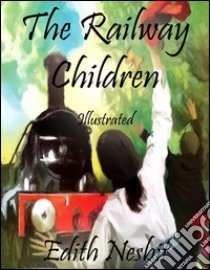 The Railway Children is a children's book by Edith Nesbit, originally serialised in The London Magazine during 1905 and first published in book form in 1906. It has been adapted for the screen several times, of which the 1970 film version is the best known. The story concerns a family who move to "Three Chimneys", a house near the railway, after the father, who works at the Foreign office, is imprisoned after being falsely accused of spying. The children befriend an Old Gentleman who regularly takes the 9:15 train near their home; he is eventually able to help prove their father's innocence, and the family is reunited. The family take care of a Russian exile, Mr Szczepansky, who came to England looking for his family and Jim. The theme of an innocent man being falsely imprisoned for espionage and finally vindicated might have been influenced by the Dreyfus Affair, which was a prominent worldwide news item a few years before the book was written.